The Best Pedal Go Karts for Kids and Adults to Ride! 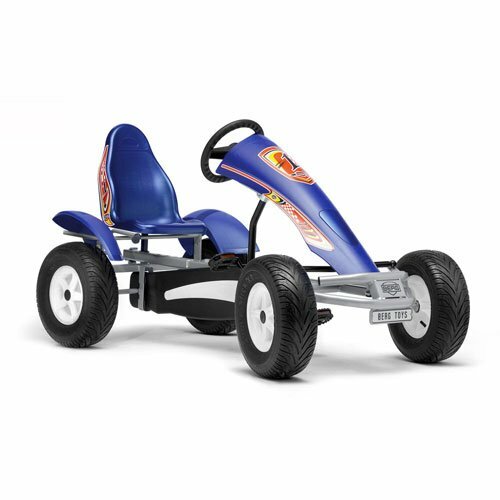 What are the most FUN and durable pedal go karts for both kids and adults to ride? I have always LOVED riding fun pedal go karts! Ever since I was a toddler! Nowadays there are hundreds of awesome pedal go karts for sale! In my opinion, and I’m sure you will agree with me, the best pedal go karts that allow both kids and adults to enjoy, have to be the most sturdy, heavy-duty ones, that can support weights of up to 300 lbs! Since I woke up in a ‘let’s ride a fun pedal go kart’ mood today, I decided to create this page to help you pick a fabulous pedal go kart for you and your kids to enjoy this summer! *This Brazilian guy pedaled his BERG go kart (the one in the picture above) all the way from Paris to South Africa! 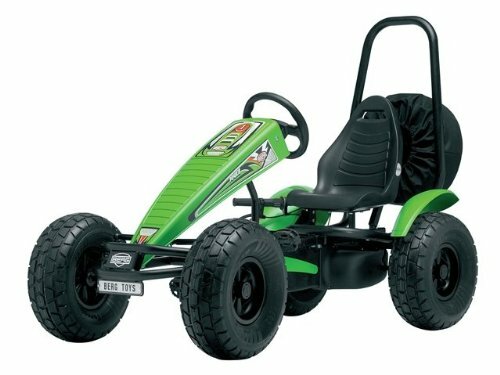 BERG is among the top brands of high-quality pedal go karts for both kids and adults! This is one of the most attractive BERG pedal go karts being sold! It is a Ferrari style pedal-powered go kart after all! The tires are very large and filled with air for a very smooth fun ride! There is also a hand brake that it’s very easy for the smaller kids to use, besides the coaster brakes. It fits children as young as 5 years old! Pedal go karts are such a fun way to exercise outdoors! I think they are even more fun than bicycles! 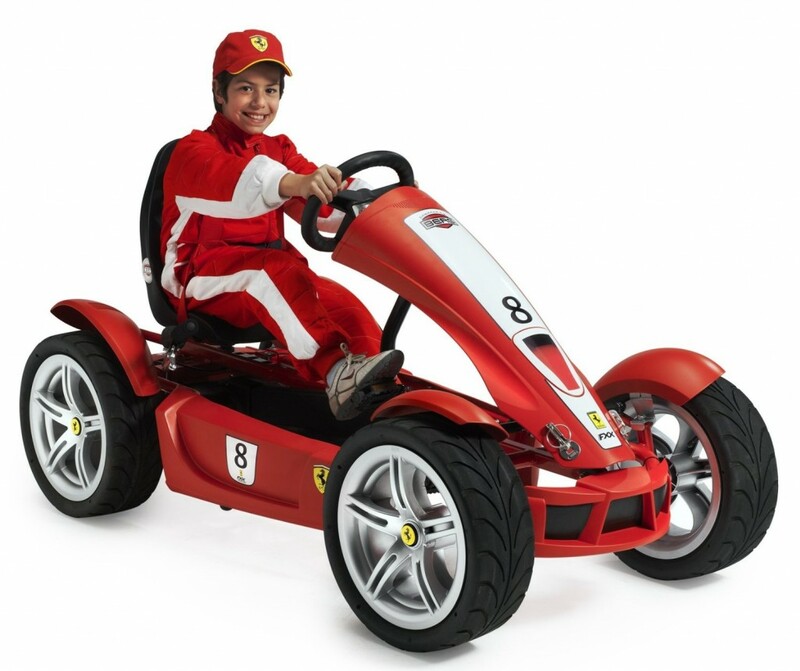 *These children are sure having a blast riding their Ferrari go kart! This is a very cool and very unique Jeep Wrangler design BERG pedal go kart for sale! It has a fully adjustable steering wheel and seat, to fit small kids as young as 5 years old, teenagers and adults! 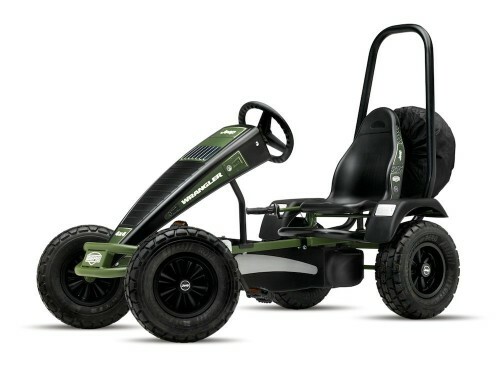 The wheels were designed to perform on off-road tough terrains as well, so you can definitely take this fun pedal go kart camping somewhere fun! One of the coolest looking pedal go karts out there! *Here are some happy kids riding their Jeep Wrangler pedal go kart! Gorgeous Berg USA John Deere Pedal Powered Go Kart! 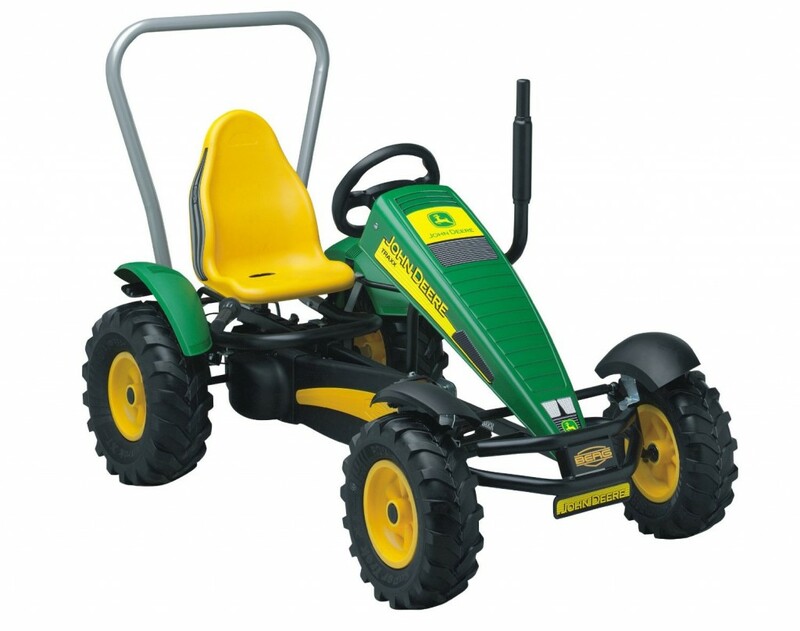 This is a gorgeous classic John Deere design BERG pedal go kart for kids of all ages! The heavy-duty air-filled tires and perfect for some adventurous off-road riding! The frame is also very sturdy! It also has a hand operated brake and three gears! That means you will be able to control how fast and smooth you want to go! *Here are some kids riding their cool John Deere pedal go karts! 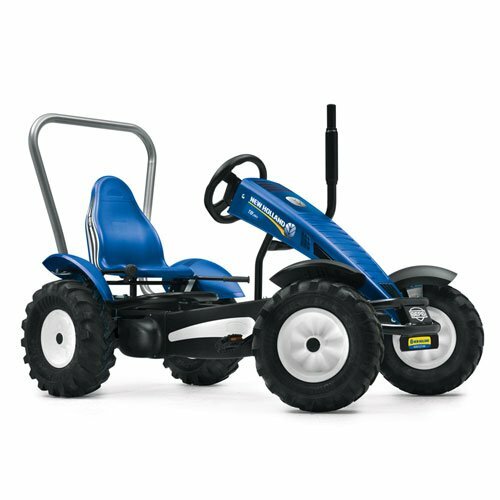 Berg USA New Holland Beautiful Blue Pedal Go Kart for Both Kids and Adults! Another beautiful and very sturdy pedal-powered BERG go kart! In a gorgeous New Holland design! It fits kids 5 years old and up and also adults under 6 feet tall and up to 285 lbs! It is very easy to pedal and control! The rugged tires are also great for riding in tougher surfaces! It also has coaster brakes and hand-brakes, so kids can ride safely! You can’t go wrong with a BERG pedal go kart! *Here is a cool demonstration for you to watch! This is a very cool, lots of fun, fast rolling racing pedal go kart for kids and adults to enjoy! One of the smoothest BERG pedal go karts for sale! Designed with pneumatic racing tires that adapt to all kinds of pavement and uneven surfaces! This is the perfect riding summer gift idea for the kids! Gorgeous Pink and Black BERG Pedal Go Kart for Girls! We love riding pedal go karts too! Even though I have always loved dolls as well, my favorite outdoor activity was riding fun pedal go karts when I was a kid! 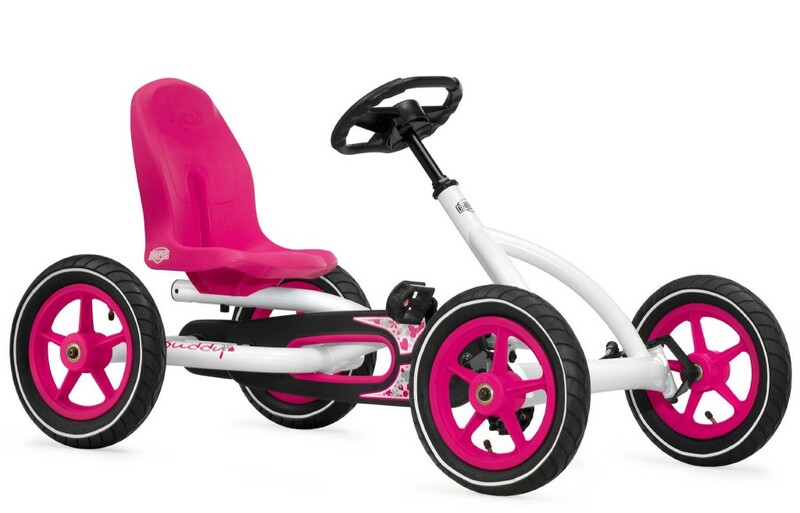 This is a gorgeous pink and black pedal go kart for your adventurous little girl to ride! The recommended age is 5 years old and up! 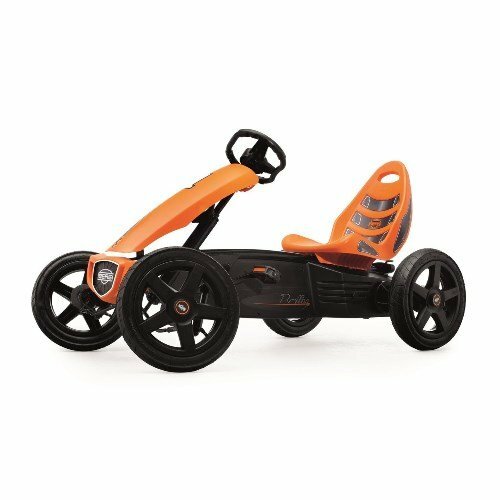 Cute Orange Pedal Go Kart for Small Kids! This is one of the best pedal go kart for smaller children between the ages 4 and 5 years old and up! It was specifically designed to fit their small bodies! It is a huge hit! Perfect gift idea for your future racer! 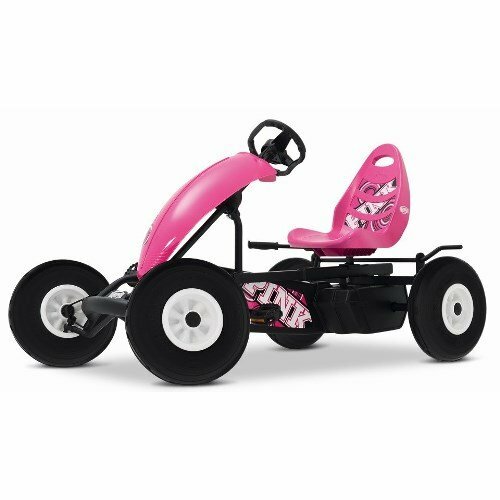 Cutest Pink and White Pedal Go Kart for Girls Ages 5 to 8 Years Old! If you were looking for a cute and girly pedal go kart for your little girl today, I think you have just found it! This is by far the cutest pink and white BERG pedal go kart for little girls! It is fun, smooth and very durable! You can adjust the seat according to her size! If I were a 6 year old girl today, this would definitely be my pedal go kart! *I hope you were able to choose a cool pedal go kart for you and your kids here today!